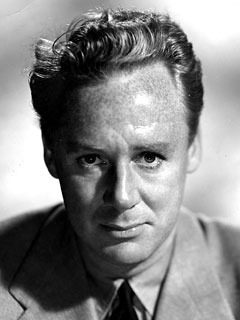 Happy Birthday to the fabulous and insanely underrated Van Johnson, the light, romantic leading man with hidden depths. Though actually they weren’t hidden at all—they were pretty much right there, even in his breezier roles, but especially in weightier films such as Battleground, The End of the Affair, Miracle in the Rain and A Guy Named Joe. If you’re not familiar with that Van, treat yourself to a binge some rainy Saturday. Or ask my Aunt Ruth about him. And then get ready to catch her. My aunt is terrified of doctors, and every year, when she has to go get her physical, she treats herself to a trip to Bloomingdale’s afterward, to pick up a perfume or a pillow, something fabulous and frivolous to smooth away the memory of cold tables and cotton hospital gowns. And one year, a miracle happened. There she was in the Linens section, fondling the fancy sheets, when she looked up and straight into the eyes of… Van Johnson, her favorite actor from the time she was 14. He was starring on Broadway in La Cage Aux Folles. Well, oh my God. From everything she told us later, it was clear they talked for quite a while. I have this wonderful image of tall, dashing Van regaling Ruth with tales of old Hollywood. And Ruth, all five feet of her plus a few inches of bun, teetering in her pumps and hanging onto a rack of blankets to keep from fainting. My mother ran and got the Harvey’s Bristol Cream, pretty much the elixir of life in our house, and Ruth clung to her glass and composed herself. “What? What is it?” we asked her, as she still struggled to catch her breath. Finally she told us. ← NOIR CITY ANNUAL 2013: Grab One Now Before They’re Gone!